The rest of the world just doesn’t understand. In L.A., stepping out for a couple drinks takes serious planning. Because Angelenos need to make every trip to the bar count, here's a list of cocktail joints — plus, never-fail drink orders — from three talented, beautiful members of our 30 Under 30 series. Memorize their suggestions, and who knows? You just might meet a hot under-30 up-and-comer on your next bar crawl. A freelance journalist made good (and you know how few there are), Gould-Simon is as witty and sharp as she is stylish and personable. She’s a rare, wild combination of talents that the addictive app, Pose.com, benefits from every day. Eveleigh — It’s like a rustic California ranch house – with a menu, ambiance, and audience to match. Two cocktails, and you’d never believe you were in West Hollywood… or L.A. for that matter. 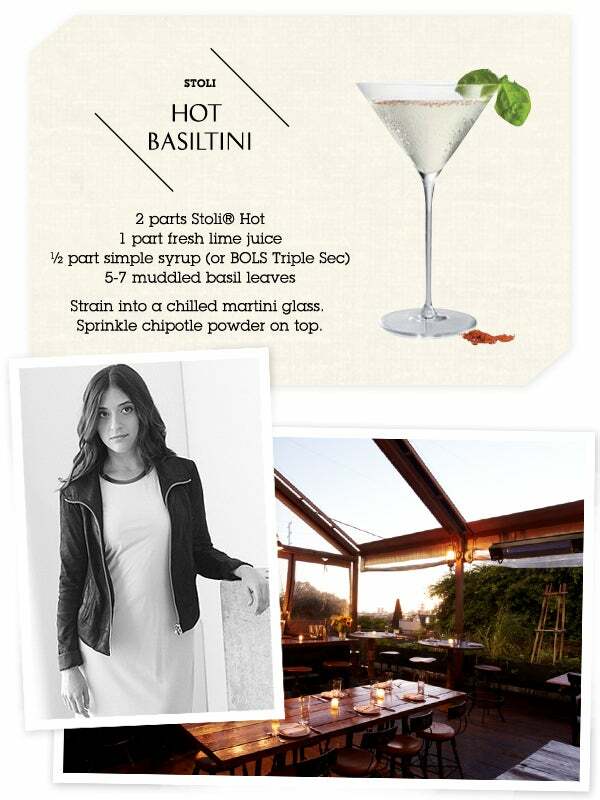 A Hot Basiltini — Spicy, sweet, fresh, and very, very interesting. Portrait photographed by Clarke Tolton; Location courtesy of Eveleigh. Tao’s donated his brain and heart to promoting new music in L.A. The bands he’s backed, the label he co-founded — IAMSOUND — and the endless cycle of bangin’ events he hosts prove that it was all worth it. Pour Vous — Hold on. Is this Paris? Is it 1907? The spirits and space at this Hollywood haunt may have you believing it, and bringing your friends back for more. 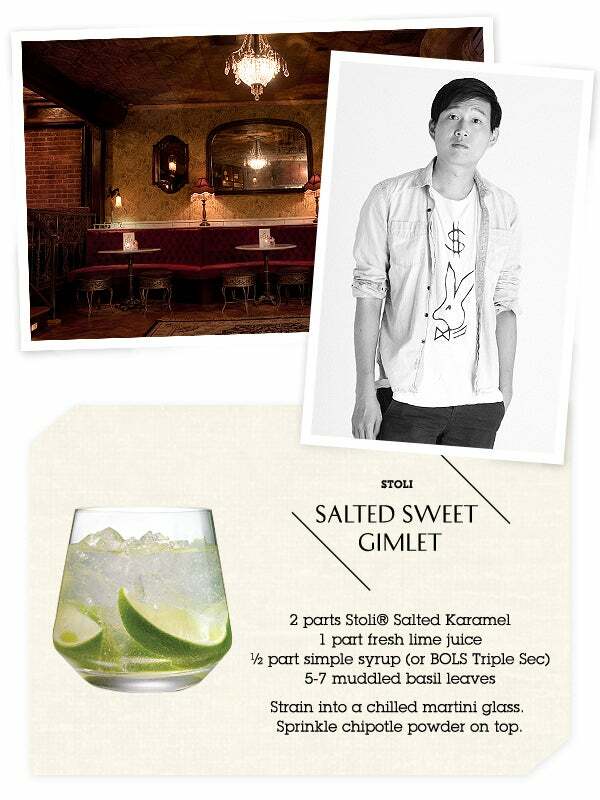 A Stoli Salted Sweet Gimlet — the perfect of mix of bass and treble. Portrait photographed by Clarke Tolton; Location courtesy of Manufactur. A buyer and stylist for L.A.'s beloved Curve, Bartoli is responsible for some of the most covetable pieces on their racks. And, if you think about it, she's the guru behind some of the chicest looks you see gracing the stools and cocktail tables of the city's hottest nightspots. Well done, miss. The Chateau Marmont — You know the name and you know the rep — the always-hot nighttime playground for wild-child celebs and elegant Angelenos alike. If you haven't had a round at this classic, then you really haven't tasted Los Angeles at all. A Stoli Hot Collins — A spicy take on the tart, timeless cocktail-hour fave.